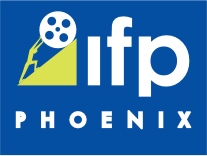 Phoenix Film fans… do we have a treat for you! This week we checked out the film adaptation of the critically acclaimed novel The Perks of Being a Wallflower. Writer/Director Stephen Chbosky also penned the novel, deemed “too controversial” by some educational institutions. Actress Emma Watson stars in her first role since the Harry Potter series and was paramount in bringing “Perks” to the silver screen. Check out the interview with Director Stephen Chbosky here. There are certain times that people remember in their lives, their first loves, first dates, first day at school. Set in the early 1990’s inPittsburgh, shy boy Charlie (Logan Lerman), sees life in a different capacity. The past year has been a difficult transition period for him; as his best friend committed suicide, his brother has left for college, and he is entering into his freshman year of high school at a disadvantage. His older siblings have carved their legacy into the school’s memory and social hierarchy. His sister Candace (Nina Dobrev) is a senior whose life currently revolves around her boyfriend Ponytail Derek (Nicholas Braun). Charlie is on his own for most of the school day and the only “friend” he makes is his English teacher, Mr. Anderson (Paul Rudd). Charlie and Mr. Anderson have an intellectual appreciation for exceptional literature, so to expand his horizons; Mr. Anderson introduces him to different authors and material outside of the class curriculum. Charlie, wanting to branch out and experience high school life, attends a Friday night football game where he ends up hanging out with a classmate from his shop class, Patrick (Ezra Miller) and his stepsister Sam (Emma Watson). The three become fast friends and introduce Charlie to the larger group of friends whom Sam and Patrick associate with outside of the educational facility’s cement walls. Patrick and Sam take Charlie under their wing and expose him to a whole new world, filled with deep life probing discussions, the joys of the live theater (a.k.a. The Rocky Horror Picture Show), upper classmen parties and being free to be his true self. Dubbed as a “wallflower” Charlie’s naïve approach to life is a refreshing social bonus for Sam and Patrick as they trust Charlie enough to open up with their secrets that they bear. The closer that Charlie and Sam get, the stronger the feelings he develops for her. Charlie knows that she only sees him as a friend but secretly wishes that one day it could be more. The relationships, heartache, laughter and tears, somehow seem amplified as a teenager as it is a transitional time from childhood to adulthood. The crosses that Charlie bears are quite heavy, but he finds out that he is in good company as the tribulations that the people around him are just as intense. Will Sam ever fall for Charlie and see herself the same way he sees her? Will Patrick find the happiness, love and acceptance from the object of his affection? Will Charlie continue to bloom once his first year is over and his friends more on to the next phase of their lives? For the die hard fans of “Wallflower”, the film version beautifully complements the book as some parts were intentionally updated for the film. For those that have not read the book, it does have some heavy emotional material which Chbosky intentionally left out. What is so impressive about this film is that it spans a multitude of personalities and helps shorten the gap between generations. It helps reconnect to a sense of self that either gets lost along the way in life or help break through blocks that may hold people back. The material covered in the book and the film has been happening for generations. The difference is that nowadays this generation publishes their business, thoughts and emotions, everywhere. The older generations may find this a commication tool to bridge the gap or start a conversation with the younger crowd. What hits home is that no one is truly alone; there are people out there that understand and can help. Check out “The Perks of Being a Wallflower” when it opens in Phoenix Friday, September 28, 2012. Interview with Stephen Chbosky, Writer/Director of "The Perks of Being a Wallflower"